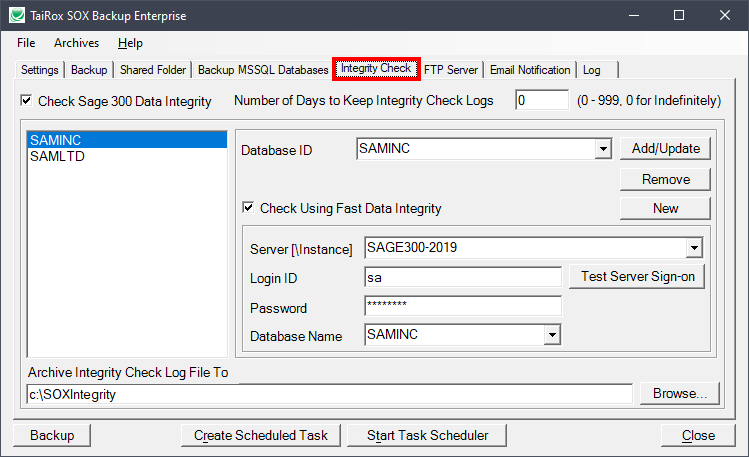 Available for: $795 + $160 per year per location, SOX Backup automates 2 processes critical to a well-run Sage 300 (Accpac) installation: DBDump and Data Integrity Checking. 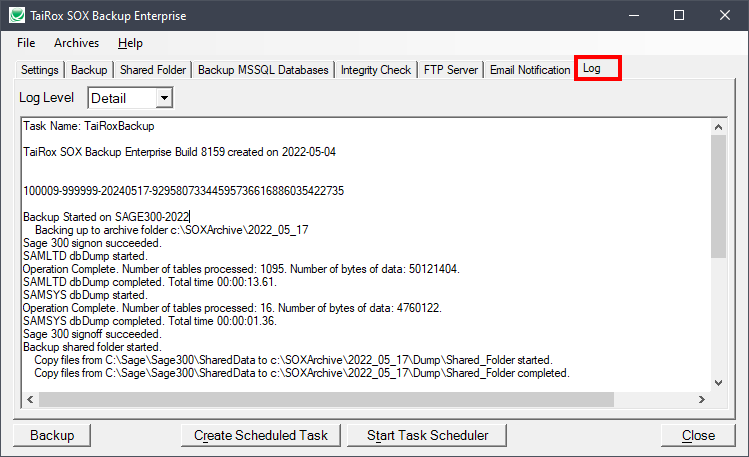 Multi-day DBDump archives are managed automatically. 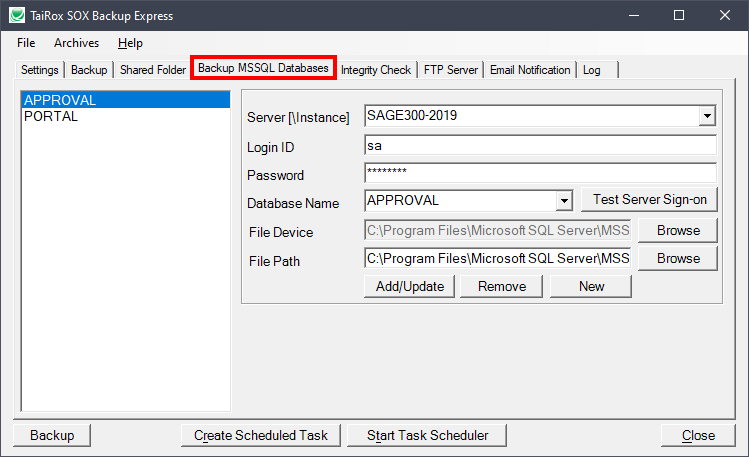 There are options to include the backup and management of Sage CRM or any other SQL Server database. The DBLoad process can also be automated, where appropriate for an installation. 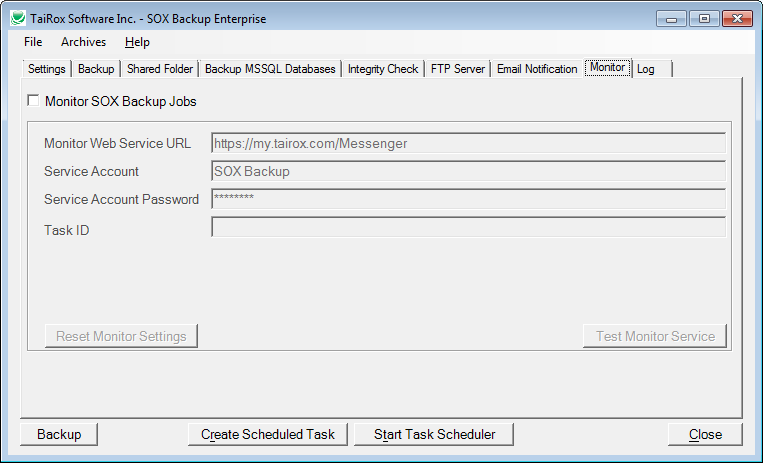 SOX Backup is designed to run as a Windows Scheduled Task without user interface pop-up windows, producing a log file and providing email notification. 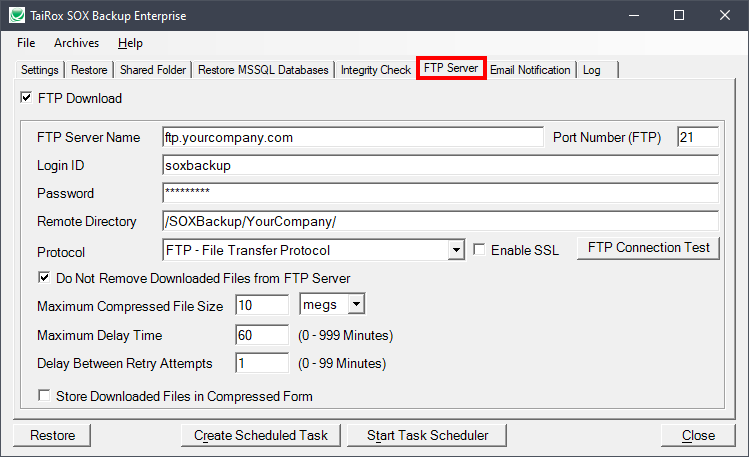 Archives can be copied to an offsite FTP location. 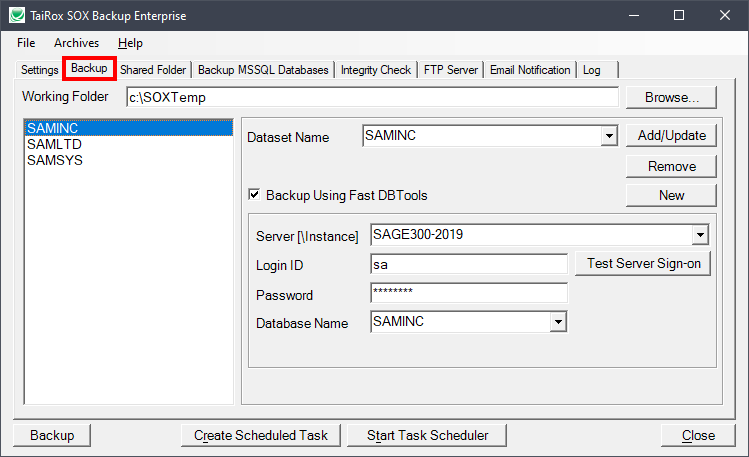 In addition to all SOX Backup Express functionality, SOX Backup Enterprise provides Fast DBLoad capabilities (typically 3x faster loads) and Fast Data Integrity checking capabilities (typically 10x - 1000x faster and the ability to change database names during a load). 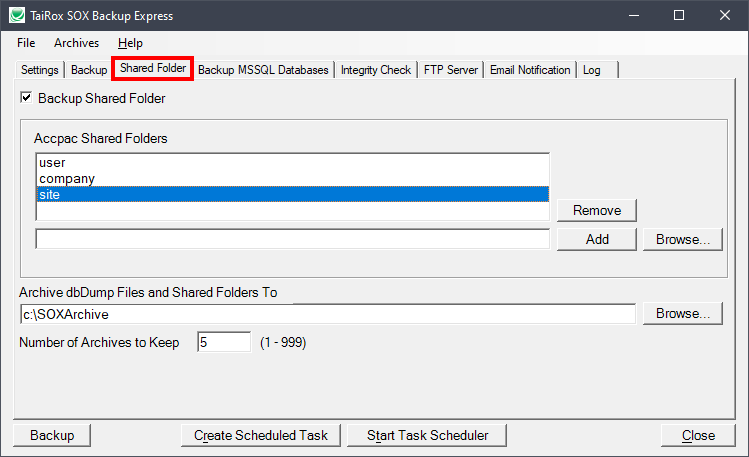 Restoring an archive from an FTP site is also an option. 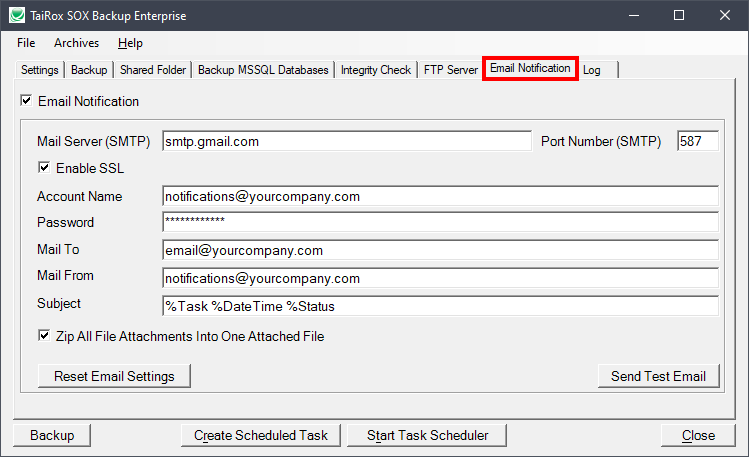 Using an intermediate FTP site, databases can be copied between different offices, usually as an overnight operation. 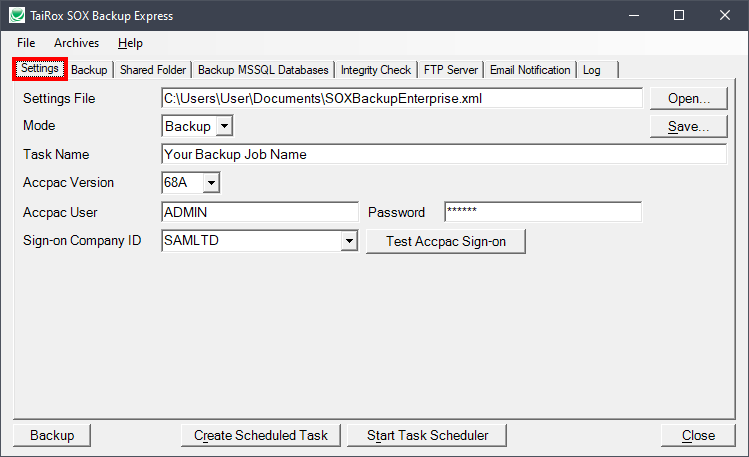 SOX Backup Enterprise has sequencing mechanisms for database transfers involving multiple Windows Scheduled Tasks.